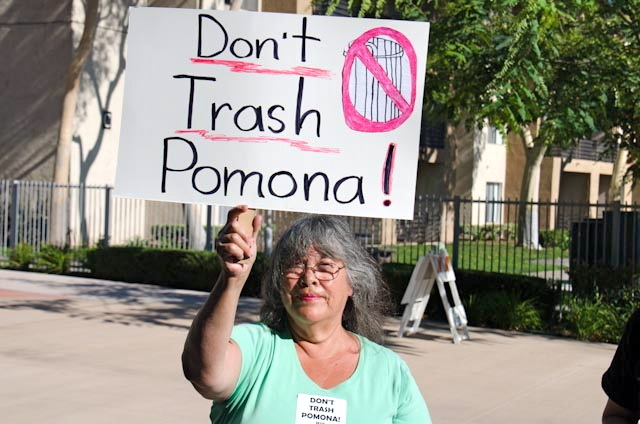 Members of First Presbyterian Church of Pomona discovered that there was a multi-million dollar corporation that was seeking to build a regional waste transfer station not far from the church that would serve 11 cities and unincorporated Los Angeles. Further, they discovered that the project would be in one of the poorest and most polluted neighborhoods of the city, within a one mile radius of 9 schools. In addition, they learned that it would add 610 large diesel truck trips per day to the city, which would exceed air quality standards by over 3 times the threshold set for public health, and add the risk of cancer. Recognizing this was a larger issue than the church itself could address, it worked with other ICON institutions to organize to stop the trash station. ICON led a campaign for nearly 2 years, in which it organized its member institutions, and formed alliances with local residents, local businesses and other community groups. Over 1,000 letters of opposition were sent to the Pomona Planning Department and added to the Environmental Impact Report. 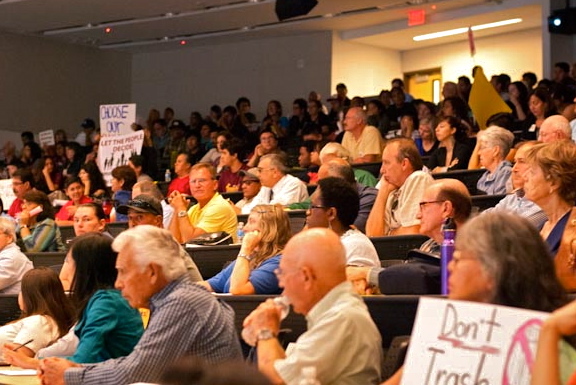 Hundreds of residents and business owners attended 3 public hearings to oppose the project, and numerous newspaper articles, neighborhood walks, and presentations by ICON made the public aware of the realities of this project. The Pomona Planning Commission voted to deny the project. After being voted down by the Pomona Planning Commission, the company appealed the decision about the project to the Pomona City Council. 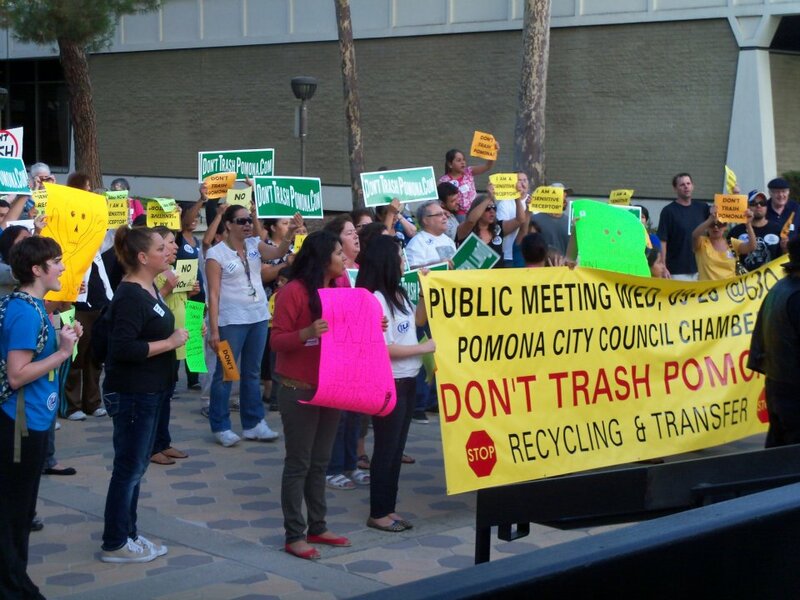 An additional 6,000 letters of opposition were sent to the Pomona City Council. ICON leaders met together to discuss what course of action to take—consulting with one another, local business leaders, and other residents who had taken leadership in the campaign. Bringing a set of demands to the developer of this project – Valley Vista – ICON negotiated an agreement from its perspective which modified and mitigated some of the most negative consequences of the proposal. 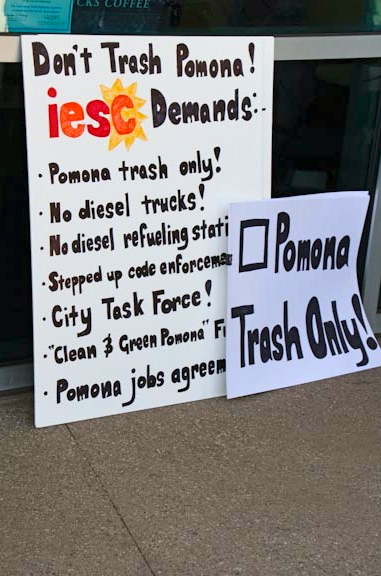 Although ultimately approved by the council, the waste transfer station plan included these demands negotiated by ICON, although ICON has never relinquished its opposition to the project. A diesel refueling station was removed from the project site, reducing truck traffic by another 12%, reducing total truck trips by over 40% and removing the damaging health impacts of diesel particulate matter. This eliminated the risk of cancer from this waste project.